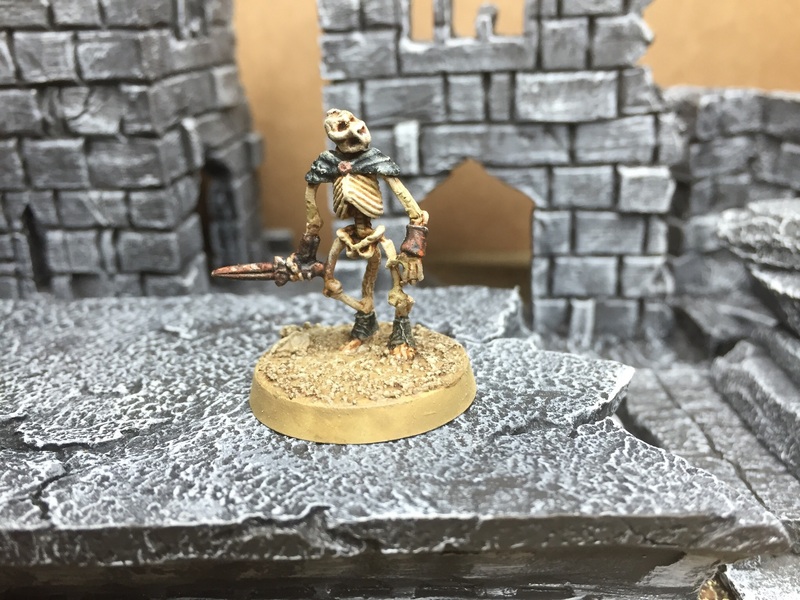 Hello folks, quick Friday post for you – I finished up the second half of the skellies from the Dungeon Monster Kickstarter from Johnny Lauck. 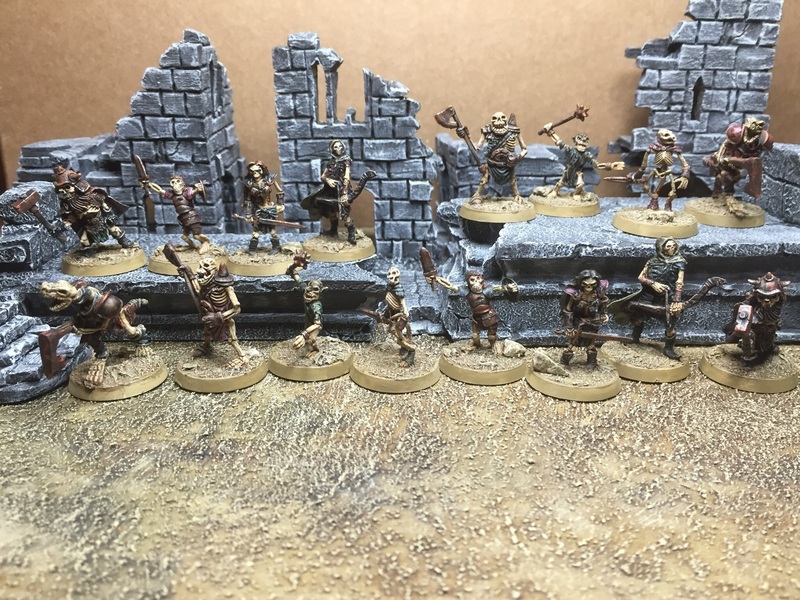 Same as last post, they are all done with washes & drybrushing – almost speedpainted. And here we have the full double set of eight! On a slight side note, I got my new-old-new White Dwarf through the post this week. I won’t waste your time by going over the contents – it’s all over the internet and I’m sure you’re up to speed on that. Suffice to say that, in my humble opinion, it is a pretty darn good magazine and is worth picking up. 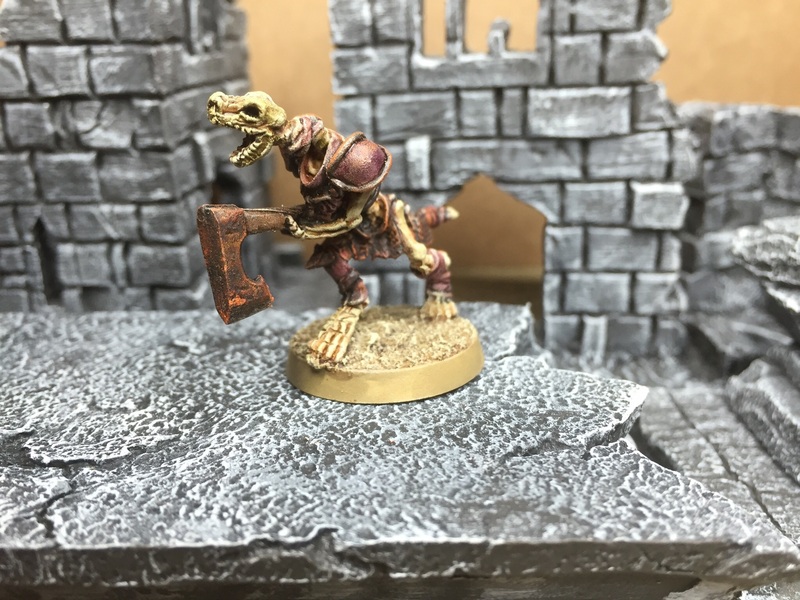 It comes with a free variant Slaughter Priest mini, so I may well use mine to do a pit-slave pal for by other SP conversion… If I make a start then I’ll do some WIP shots for you in my next post, otherwise I’ll be cracking on with the other half of my undead adventures – the same races in zombie form!!! See you from the crypt! Looking good mate – with each one I found myself a little more impressed by the creativity of the sculptors. Looking forward to seeing those zombies emerging! Cheers dude, they do have appeal don’t they? The zombies are really messed up… wait ’til you see the ratman one! I don’t know if any of these cats actually could match the quirkiness of that oddball in the last batch but some came pretty close. What a great mob of minis. Full of character. Just goes to show you don’t need guts to be tough haha. Nice work pal. Ahaha. Don’t get huffy with me mate I don’t want to have to have a bone to pick with you over this. 😂 Oh, that’s a rib tickler, and no mistake! Very cool. It’s always nice to see some non-human undead as well. Agreed that it’s nice to see some non-human undead – which makes more sense than the dearth of them that we have available. 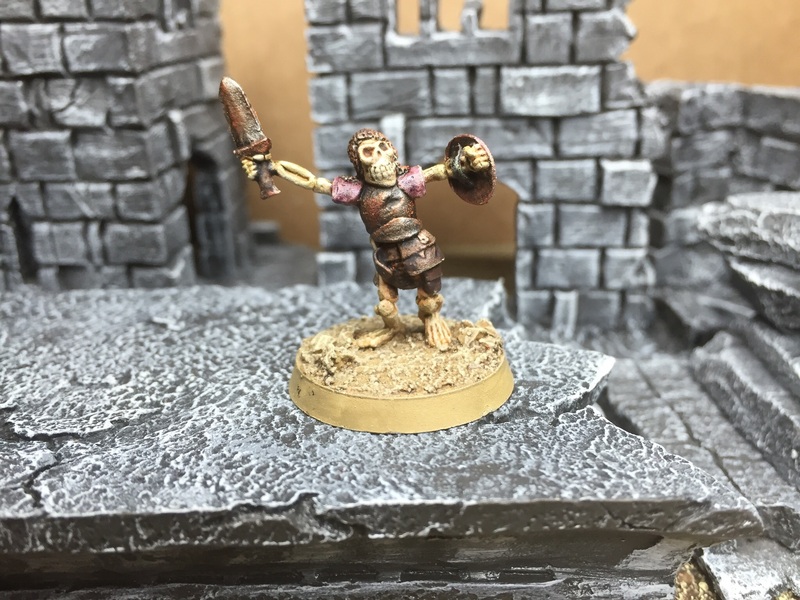 I agree with you on the Lizardman skelly being the standout of these. 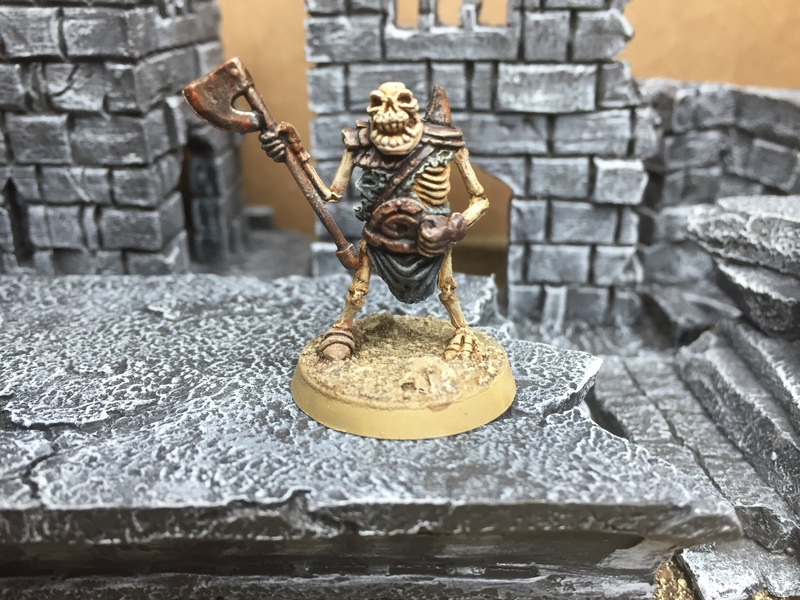 These oldschool skellies are a God-damn delight! Thanks dude :-) I’m afraid I’m done with these for now, but hopefully more to come in this vein in the future!